I have gotten the chance to read through many baby and parenting books over the past couple of months. I won't pretend to be an expert or even half of an expert, because let's face it, I haven't had to "parent," yet at all. Growing a human may make me a mother, but I don't believe you become a parent until that moment that baby is in your arms. So, what I am about to say, please take with a grain of salt. I'm stepping out here, stating my opinions in a public forum, but it is my public forum, so I suppose I should do this every once and a while. Plus, in a couple of years I can either look back and say "Wow, I was really wise!" or "Wow, I was quite the idiot and didn't know what I was talking about!" Either way, I'm okay with it, because these are some of my thoughts on parenting in regards to what is found in most baby and pregnancy books. I think I should preface all of this by saying that I have pretty strong opinions when it comes to parenting styles. Probably more than most first time 20 something mothers. Why? Well it's pretty simple really. I've worked in childcare since I was too young to actually hold a job. And not just in the normal babysitting capacity that most teenage girls do either. Starting my freshman year of high school I began nannying for a family (Hi "S" family! Miss you!) What a wonderful experience to learn responsibility and dependability. I would go to their house right after my school let out, meet the young girls at the bus stop, take them home, help them with homework, feed them snack, and help them complete chores or projects for the next 3-4 hours. And this was almost always 5 days a week. Once I could drive, my responsibilities increased and my time with the girls increased as well. I'd drive them to church and cheer practice and 2-3 times a week I would be there through dinner, bath, and bed time. I stayed with that family until my last day of college. As the girls got older and were able to handle being home by themselves more, my time waned, but I continued to work with them, helping them pick out classes for the following year, keeping track of grades, and helping them focus on what needed to be improved. Along with my college years came their "oh so pleasant," teenage years. On top of that, I worked for many other families, working 20-25 hours a week in high school and close to 40 hours a week during college (not counting those after the kids go to bed hours.) I loved every minute of it, and the experiences I had let me see families that worked in a variety of different ways. I saw hands off parenting styles and very hands on styles. I saw attachment parenting and I saw what I call "traditional," parenting styles. I saw discipline in many forms and I saw how sleeping habits established early on set the tone for the rest of the child's life. And best of all, since I was with many of my families for 8+ years, I got to see what worked and what didn't, and not just in the short term. I got to see how decisions affected the children and the dynamics of the families for years to come! Going into marriage, Ian and I would talk for hours on end of what I had seen, what I liked, what I thought worked, and what we thought would work best for us. As we started this new job, we've got to have alot of hands on time with other young families, and as a couple we spend hours each week talking about the parenting choices we see and what the pros and cons are. We can see the detrimental effect of many parents' choices probably better than you can see when you are in the situation yourself. All of that to say. I've been forming these opinions for years, but have also gotten a chance to "try them out," myself and have more than just my teaching background to show for it. When we first found out we were expecting, while in Canada, mind you, we made a quick trip to the book store and bought "What to Expect When You're Expecting." 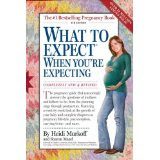 After all, I had used "What to Expect Before You're Expecting," and had loved it! This book didn't disappoint, but in many ways, I wish there could be more. More details on baby's week by week development and more images showing what is going on inside of you. The authors take a somewhat scientific method of explaining without being too medical, and each month is broken down to a somewhat predictable pattern of information. The information can be found, almost word for word, on the website. So, I suppose if you don't mind having the information in your hands, laid out in order, and you don't mind searching around for what you are looking for, use the website! Then, our friends here lent us a couple of books almost the moment we stepped off of the plane into the Middle East. 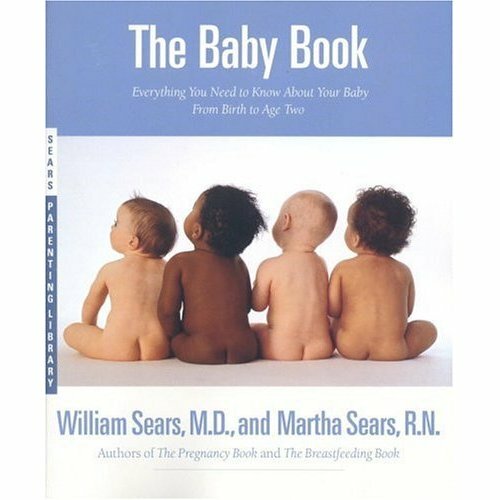 "The Baby Book" and "Christian Parenting and Childcare" by William and Martha Sears. I bypassed the first one to first look at the Christian Parenting book. I, of course, thought that this book would be an instant hit. I was so interested to see how a medical professional fused parenting ideas with the principles that God lays out for us in the Bible. I almost didn't look at it, after realizing that the authors were proponents of Attachment parenting (I am SO not. Not a proponent of co sleeping and attachment parenting in the main aspects it entails and have seen first hand how it effects children later on, but for more on that, please feel free to email me,) but decided to give it a shot anyways. Besides taking scripture out of context, I don't believe that asking a rhetorical question about the amount of compassion we should have for one another applies to all concepts of parenting. Should I have compassion on my child? Absolutely! Should I train them up in a way that involves discipline? Absolutely! Does that discipline require making choices that may appear unfeeling (ie, letting a baby "cry it out,") in order to develop coping mechanisms? But that wouldn't back their point up, now would it? I decided that, with their stance on attachment parenting being infused through out all aspects of the book, that this would not be the guide for me. is not talking about the same thing! How would a parent ever "forget," their child, I ask? No, choosing to ignore is not forgetting, but just that, ignoring. I am not a fan of "proof texting," Bible verses to fit your agenda. I had also picked this book up while in Canada. I don't know why, I just bought it and put it in our suitcase. I'm sure I've seen it on dozens of bookshelves in homes that I have worked in and I suppose I wanted to see what the fuss was all about. I loved it. Thought not a complete "parenting guide," I thought this book was perfect for first time parents of an infant. It complimented what I already believed in though, so that is probably why, ha! Ian and I had already decided we would be raising our children much like our own parents raised us. They raised us in Christ centered homes that honored God first, respected and cherished their spouse second, and had the children at the focus of things lastly. I think this hierarchy puts things into a balance that teaches children early on that they are not, indeed, the center of the universe. So, the book is claimed to be much too rigid for many families, but I did not take that away at all. In fact, I thought it needed MORE step-by-step, minute-by-minute information, but overall I liked what it had to say. I will definitely be giving this book another read as we approach my due date (9 weeks! Ahh!) and will have Ian read it over as well. It recommends giving the book to grandparents or other adults that may be around so that they understand what you are doing and why you aren't running in to soothe baby at every whimper, but, after all, this book could have been written by our parents, ha, so I don't think they'll be needing it. I also have read a pregnancy book that breaks it down week by week, which I really liked, but I thought that beside the baby's development the information seemed rather unorganized and out of place at times. Anyways, that's it! We're very flexible people and we know that every parent chooses to do things for certain reasons. I just believe that some choices are more thought out and deliberate than others, and some consider things further down in the future than others do. I've seen the repercussions of certain parenting choices and they break my heart. I'm sure we won't be perfect parents, and I'm sure some young teenage girl will see us in the future and think "I'll never do THAT!" But that's life! I hope I didn't step on too many toes, but I'm so glad we have a community where we can respectfully talk about our opinions in such an open way! I will give a little warning though... I also loved BabyWise, but I did modify it a bit for our family. Instead of letting her cry for 45 min, we would go in every 5 minutes, rub her belly, and say night night. Eventually they learn I am still around, but I will not pick you up. Using the methods of Babywise I have had great sleeping babies!!! I feel their sleep habits are so important to their well being! I do occasionally rock Emme to sleep, but only when I want to hold her more or if she is sick. Wow you've really done your research! I was also a nanny for about a billion years before we got married and like you, I think it gave me a good idea about what I would and wouldn't do as a parent. But I'm going to be a little more go with the flow I think. I've looked after so many different newborns and what worked with them really varied. And so, although I have a general idea of how I will parent, I will have to see what Henry is like before I can really go at it! I hope you write more posts like this once Grace is born so we can see what worked for you! I love this post!! Thanks for taking the time to write it. Not having kiddos (yet! ), I can't speak from experience as a mother...but gosh, I loved your quote about how children do need to be taught that they are not the center of the universe. Very important and loved? YES. But, selfish and spoiled, no. I totally agree. I've read a few blogs about attachment parenting and usually disagree 100%. The parents were complaining about sleeping and feeding issues and I was thinking the whole time...maybe because your attachement parenting isn't working. Granted, every child is different and Georgia isn't born yet so I can't speak from experience (although I worked in the church nursery for 2 years, was a nanny for 2 years, and worked in a day care for a summer...I've seen a lot of parenting styles). 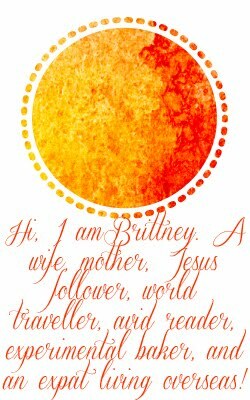 Glad to see someone who blogs and isn't for attachment parenting, I felt like I was the only one. Thank you so much for posting this! 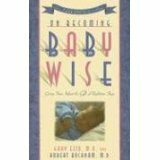 I love hearing reviews on books and I enjoy your recommendations..I am going to check out Babywise now! I had the same feelings you have prior to my son being born, especially coming from the field of psychology (although I fall into the school of attachment parenting). Unfortunately my son has not been textbook, and no method has worked in helping him self-soothe or sleep well at all. We've tried it all. At 2 months old he is still only sleeping a few hours and I do feed on demand (after only getting 2 hours of sleep there is only so much crying I can take before I give in and feed him). I'm curious to see how your experience is, good luck! Agree with you totally, and I really enjoyed reading a bunch of parenting books like you, before kids, but now that I have a 1 year old and a 3 year old I can honestly tell you a lot of parenting comes from the heart, and what God tells you is right to do for your family. Babywise totally worked for us. We let our kids "cry it out" and we have excellent sleepers who soothe themselves and are very good babies. But each mommy and daddy finds their own rhythm and their own way. As long as you don't go against your own convictions of what is important and as long as you meet your child's needs, God shows you what works and what doesn't. There isn't a right way or wrong way, I believe, we all just find our own journey with our families. God bless you guys on your journey. Having a baby is so exciting and life changing! Oh, man. I couldn't not comment! It's excellent to be prepared by reading. Having a child is so completely different than reading about it or babysitting. But you'll figure it out as you go along, just like we all do, only you'll probably never again in your whole life feel like you have any concrete answers! Every book has a different solution, the Bible can be twisted in so many ways, but an individual child, especially when it's your own baby, never quite fits in to a mold. I agree with American mums comment! It's great to read and be prepared. Speaking from experience I can say that not all the principles in books for each child. I greatest advice I could give you is to get to know your little one and her needs and trust your instinct. Sadly with Moriah I got too hung up on the schedule and keeping it and forcing her into the babywise baby that the first 6 weeks were misrable and nursing was aweful. I don't think there is anything wrong with babywise but it just didn't work for her and her needs. I used the basic principles it teaches (eat, play, sleep and teahing to self soothe) but feeding and snuggles were on demand because that is what she needed. Wow. What a great post. I'm not yet pregnant, but it's good to know what others think on the books out there. That's disappointing about the Christian parenting book. It's just funny how many opinions are out there. I really enjoyed this post... and like many of you, I was a nanny for years and now teach. I had a really challenging time while being a nanny and I visited some close friends of family members. I was sharing my struggles with this family and they gave me the book Shepherding Your Child's Heart. It is by Ted Tripp. It is by far the best parenting book I have read. I do not have children, but this book revolutionized the rest of my time as a nanny. Also, I just stumbled on your blog and have been very encouraged. My husband and I are in the preparation stages of moving overseas to the Middle East. We are still quite a ways out, but your story again is very encouraging. Thanks for sharing. I'm so glad you commented on our blog, I will definitely start following you now! I am the same and love to follow everyone's pregnancies, it's such a fun journey isn't it? I'm reading Baby Wise right now and my sister really recommends Happiest Baby on the Block too! Both are on my list! My parents (particularly my mother) read babywise and it's always one of the top ones she recommends to her friends that ask for her advice. My parents have 8 kids and years of experience but I know that series was one of her favorites! Thank you so much for sharing! It's so good to get a different perspectives. I might send you an email to hear more about attachment vs. non-attachment methods--my mom was attachment, and I'm curious as to how it has affected me!